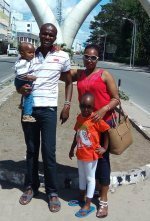 I'm Kenyan and my authentic guide to Mombasa will show you the real Mombasa. We walk centuries old lanes where spices are still traded and life is a wonderful kaleidoscope of colours and sounds, visit parks filled with bats, eat in caves and dance the night away. If you’re looking for a memorable and fun vacation, come discover Mombasa with me. You can start by visiting the famous “Pembe Za Ndovu” (elephant tusks). These are Mombasa's Statue of Liberty - the very symbol of the city. Just next to the tusks monument is Uhuru Gardens Park. A nice, cool and breathtaking environment and a very welcome escape from the hustle and bustle of the city. A unique fact about the park: it has the largest collection of bats within the city. Visiting Mombasa Old Town is like stepping back in time. A town characterized by a maze of narrows streets and ancient Arabic style buildings. Make a stop-over at the first post office in Kenya & the ex-Governor’s office. Visit the old port, the spice market where colours and sounds make for a heady mix and, before you leave the old town, get yourself a Swahili artifact. At the far end of the town is the famous Fort Jesus – a 15th century Portuguese monument. As you leave the Fort, you'll find Mombasa's Butterfly Farm - walk through colourful clouds of these "little birds” as locals call them. 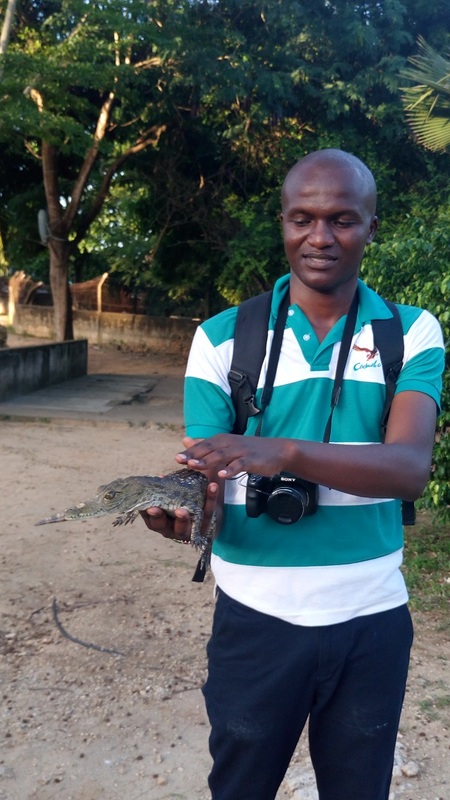 Get in touch with nature at Bamburi Haller Park and Nature Trail. The Mombasa Marine National Park is a must; here white sands and swaying palms trees lead to an ocean of Tanzanite blue filled with fish of a thousand hues. You can find details about the park on the official website. Visit Mama Ngina drive and get a glimpse of ships coming and leaving the port as you enjoy the Indian Ocean breeze. Almost everyone around this relaxing haven has cassava or a potato crisps packet in their hands… Be like a roman! 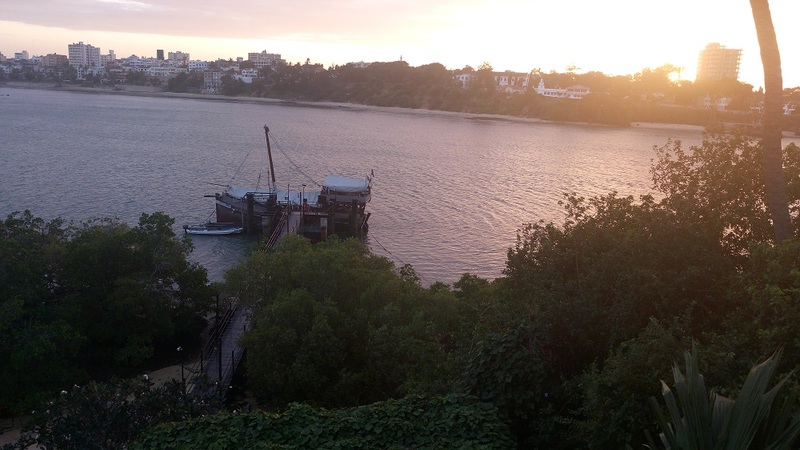 Nearby is the Likoni crossing point, board a ferry and enjoy a shot ride to the mainland. If you would like a longer trip, there are dhows along Tudor Creek. Go swimming or take a walk along the pristine beaches of Mombasa. Pirates Beach is the most popular and hence most crowded, I guess it’s because it’s a public beach. Other beaches are Bamburi Beach and Nyali Beach. Diani Beach is on the south coast and this beautiful beach is arguably Mombasa's most internationally celebrated beach. There are other exciting spots to visit like the famous Hindu Temple, Bombolulu Workshop, the Rabai Museum and much more. No trip to Mombasa is complete without trying out some of the Swahili cuisine such as “Pilau, Bhajia, Kaimati, Viazi karai”. There are several restaurants within Mombasa that serve delicious Kenyan and mostly Swahili dishes that can give you that feel of a local. However, you can’t say your visit to Mombasa is complete without having a meal in one of the following local restaurants. Set in a charming environment that overlooks the Old Town of Mombasa, Tamarind Restaurant is best known for its quality sea food and the best steak on the Kenyan coast. Sail into the sunset on a dhow with their evening sunset cruise and enjoy a wonderfully unique dining experience. 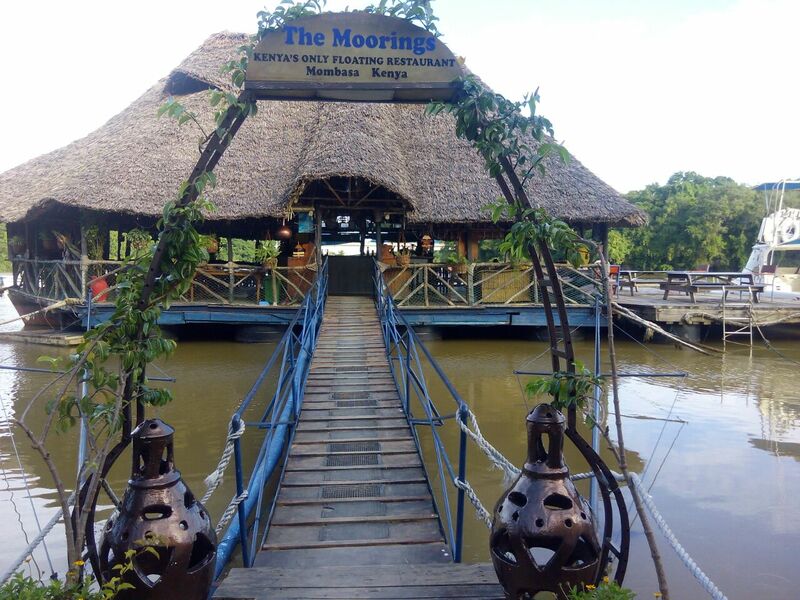 Another fun and exciting restaurant for dinner is The Moorings Restaurants - a floating African outdoor restaurant located on Mtwapa Creek. They serve the day’s fresh catch of seafood and chicken steaks. Oh, and you simply must taste their pizza! It’s delicious. While you wait for your food chill-out on the open veranda and enjoy the cooling sea breeze atmosphere with a happy hour drink as you wait for your food. If you are planning a surprise birthday or romantic night out dinner, The Moorings Restaurant is just the place to sweep them off their feet. You can choose to either sparkle their hearts in the floating restaurant or on the Mooring's evening sunset cruise dhow. Yul’s Restaurant is an ideal spot especially if you are looking for a good chill out afternoon to unwind after a long day. Located along the sandy beaches of Bamburi, it has a wonderful relaxing ambiance. They serve mostly international cuisine and grilled daily fresh seafood. They are also well-known for their finger-licking ice cream and water sports. If you like dancing and partying by the beach then Saturday night is the day to rock yourself at Yul’s - they have a very vibrant and lively music scene. Blue Room Restaurant is a famous landmark situated in middle of the CBD. They serve a variety of Swahili dishes, Indian and European cuisines. It’s a self-service place and you get to chose how to mix your food. Ali Barbour's Cave is one of the most stunningly unique restaurants you'll ever visit. 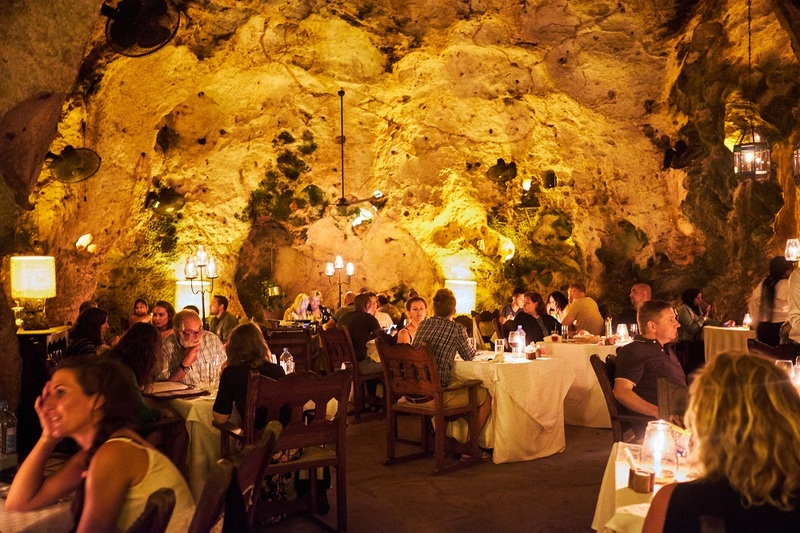 Set in a centuries old limestone cave the whole experience is an unforgettable one and their service is good too with a comprehensive menu. Soft lighting and the glittery stars above, in this cave that opens to the sky, set an amazingly romantic tone for a special dinner. They are open from 6 p.m. to 11 p.m. for dinner but you'll need to make reservations. Should you be staying in the Diani Beach front area they'll pick you up and drop you back home with their free shuttle. Shopping in this centuries-old city can be such an exciting experience. It has numerous shopping outlets and souvenir stands that reflect its past history. “Biashara Street” (Swahili word for Trade) is a perfect place to buy traditionally African fabrics worn by Swahili women such as khangas, kikoys and kitenges. Also available are beautifully handmade stylish sandals and other artifacts from local craftsman as well as other modern items. Though the street is quite old-fashioned, it’s a hive of activity. The traders are really friendly and helpful, but keep an eye on your belongings as pick-pockets operate here. Prices vary with quality but there is always room to bargain. You'll find them along Airport Road and at the Bombolulu Workshop. Bombolulu Workshop is not part of the Akamba Wood carvers. It's supported by PADK... and supports people living with disability. They specialize in beautiful handicrafts and artwork ranging from wood carvings, bracelets and necklaces, leather items, furniture and unique paintings of your home done from photos. You have a chance to meet the artists and carvers at work and see how they make their items from scratch. If you have something special you need to be made for you, place an order and they will make it. For fresh vegetable and in-season fruits, visit Marikiti Market which is just within the city centre. If you fancy spices, they have varieties of them to choose from. 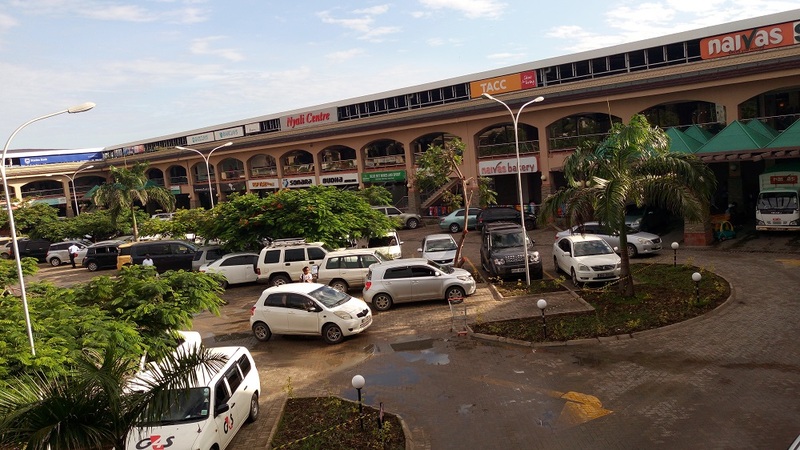 For shoppers who want a more relaxed shopping experience, in a quiet and elegant environment; Nyali Centre, City Mall and Nyali Cinemax are good options. 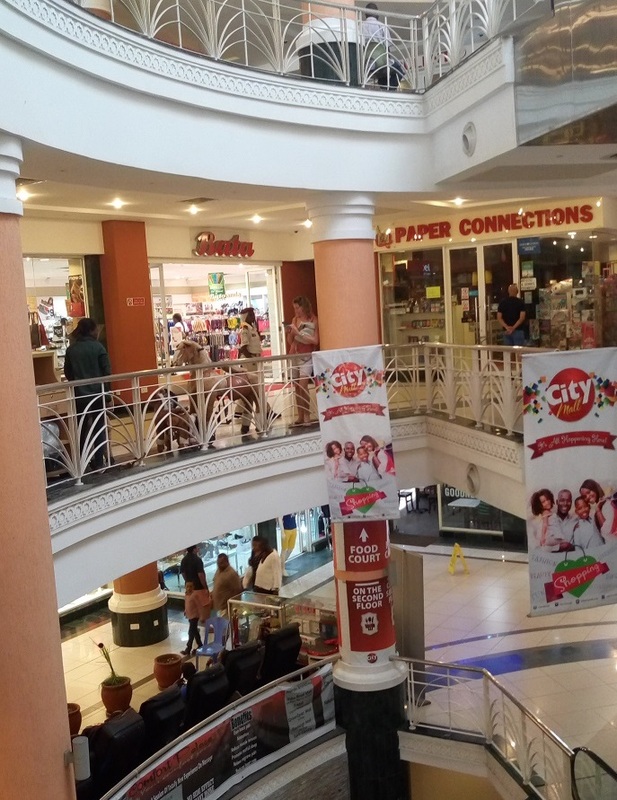 They have several stores that offer top local and international brands, food and drinks outlets, banking services, travel agents and entertainment facilities where you can shop with ease under one roof. As for me; Mombasa’s nightlife is like no other. If you have ever visited Mombasa before, you will agree with me that life in Mombasa begins after sunset. All the fun, pleasure and leisure you can think of, you will get it here in Mombasa. From the crazy nightlife in Mtwapa, where the party has no limit to more chilled-out clubs, night life in Mombasa is on another level. Some parts of the city are dull during the day but when night falls, the mood changes drastically. Flashing lights, lively music and even more people on the streets. Some of the electrifying nonstop party clubs that are a must visit while you are in Mombasa include Casuarina Nomad in Mtwapa, Tapas Cielo at Nyali Centre, Sheba Lounge at City Mall, Billa Vista, Casablanca Club, and Z Lounge. Though prices are fairly high in these clubs, it’s near impossible to find sitting space if you came in late. 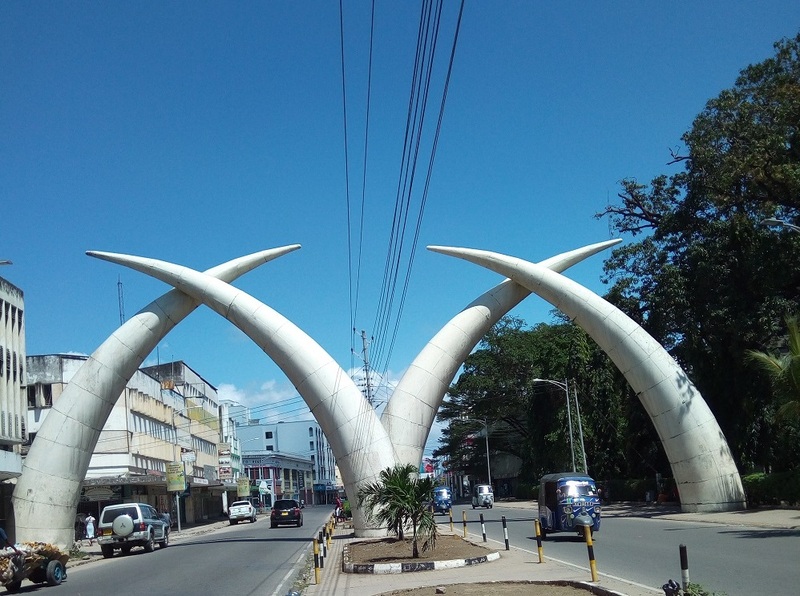 Our guide to Mombasa has hopefully shown you how many wonderful things this city can offer, however not all is bliss; just like all major cities – Mombasa has its fair share of street crime. Be cautious of displaying your valuables, be careful about whom you mingle with and avoid walking alone at night. Instead of walking to your hotel or home at night, rather get a tuk tuk ride.